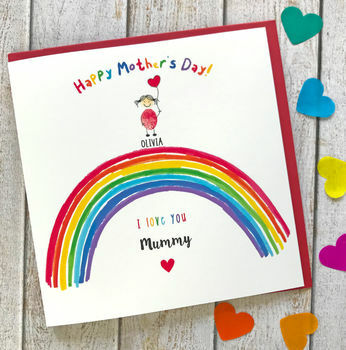 first line of type first line of type (required)Happy Birthday!Happy Mother's Day!Happy 1st Mother's Day!Happy Mothering Sunday!Happy Father's Day!Happy 1st Father's Day!Happy 60th Birthday! first line of type (required)Happy Birthday!Happy Mother's Day!Happy 1st Mother's Day!Happy Mothering Sunday!Happy Father's Day!Happy 1st Father's Day!Happy 60th Birthday! first line of type (required)Happy Birthday!Happy Mother's Day!Happy 1st Mother's Day!Happy Mothering Sunday!Happy Father's Day!Happy 1st Father's Day!Happy 60th Birthday! 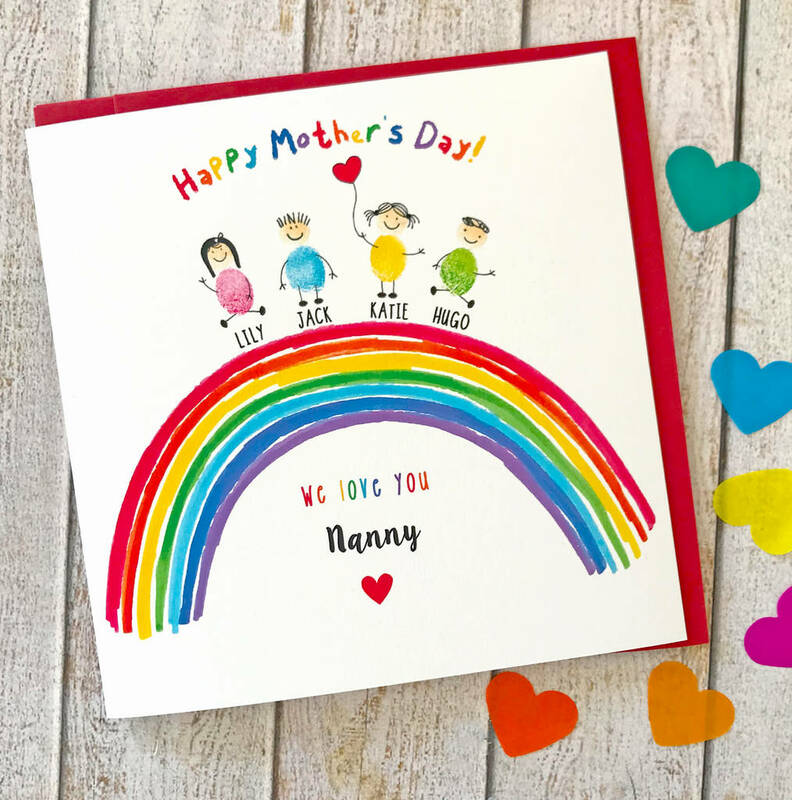 first line of type (required)Happy Birthday!Happy Mother's Day!Happy 1st Mother's Day!Happy Mothering Sunday!Happy Father's Day!Happy 1st Father's Day!Happy 60th Birthday! 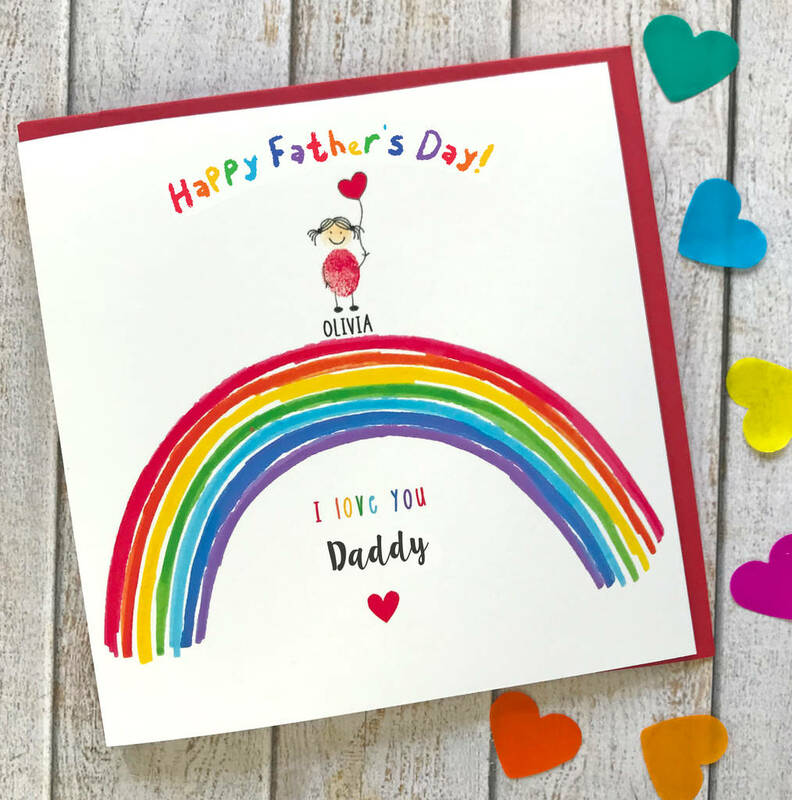 What special something will you find at the end of the rainbow this year? 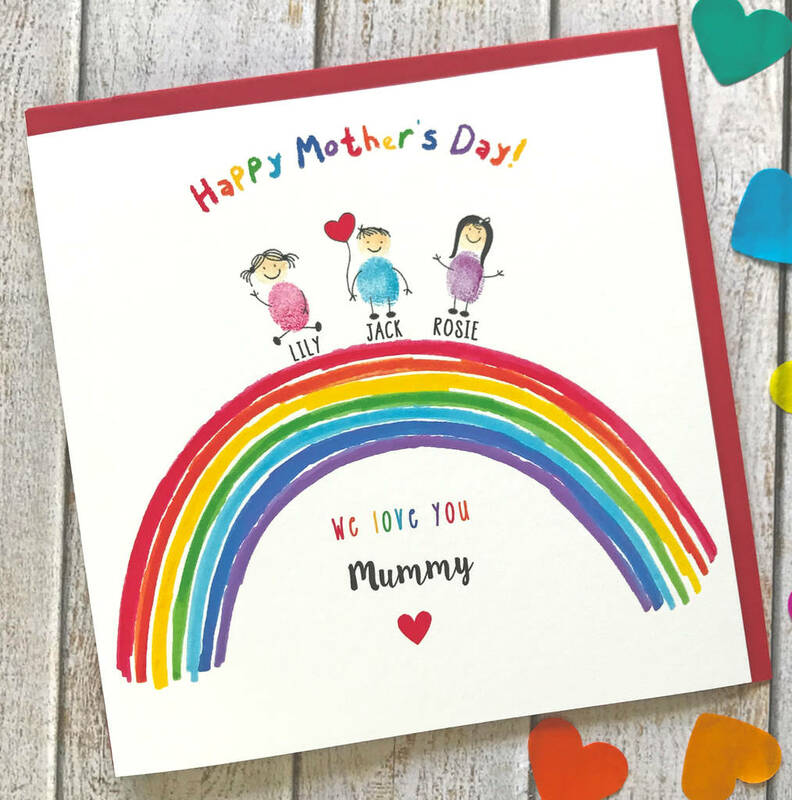 Why not send our beautiful personalised rainbow card ideal for Birthday's, Mother's day, Father's day to celebrate their special day. 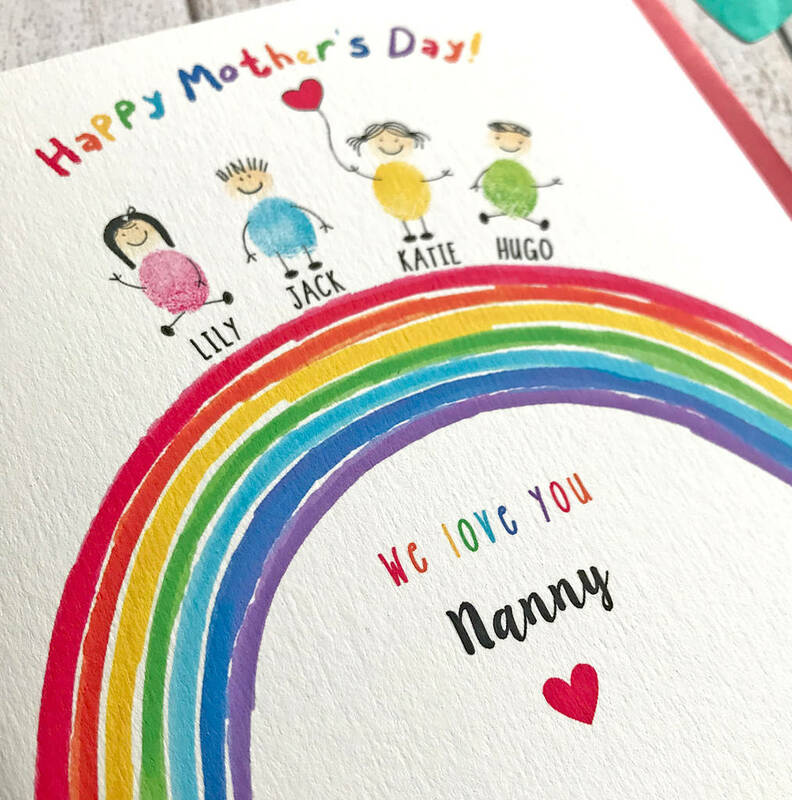 Our personalised card design includes a fun bright rainbow, just sitting above the rainbow on each card is a finger print illustration of each child and their name. One of the illustrations will include them holding a small red heart balloon. 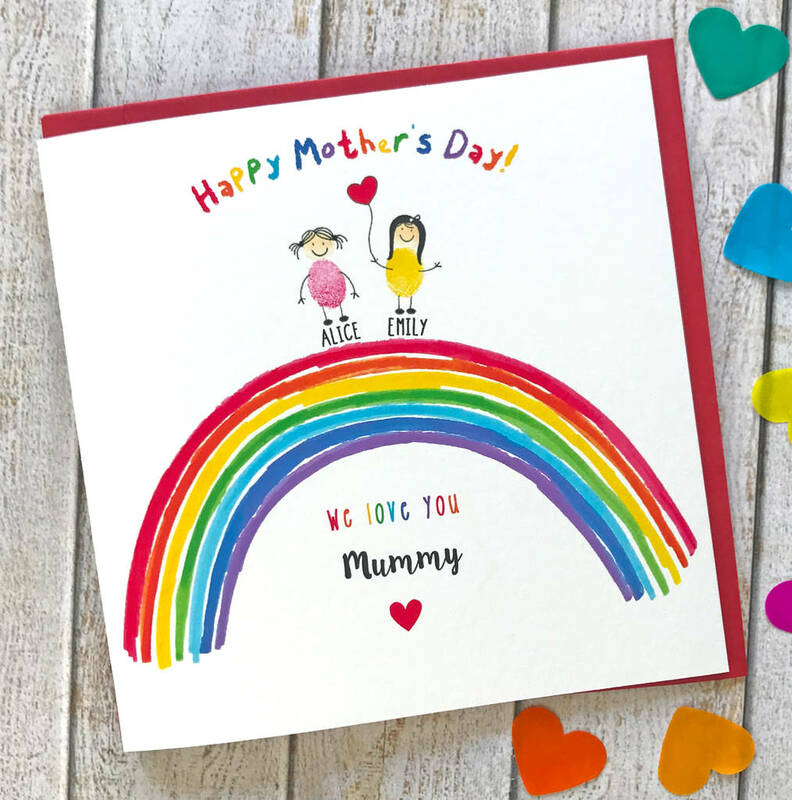 The card wording will begin with 'Happy Mother's Day', followed by 'We love you Mummy' all of which can be altered to suit the recipient. 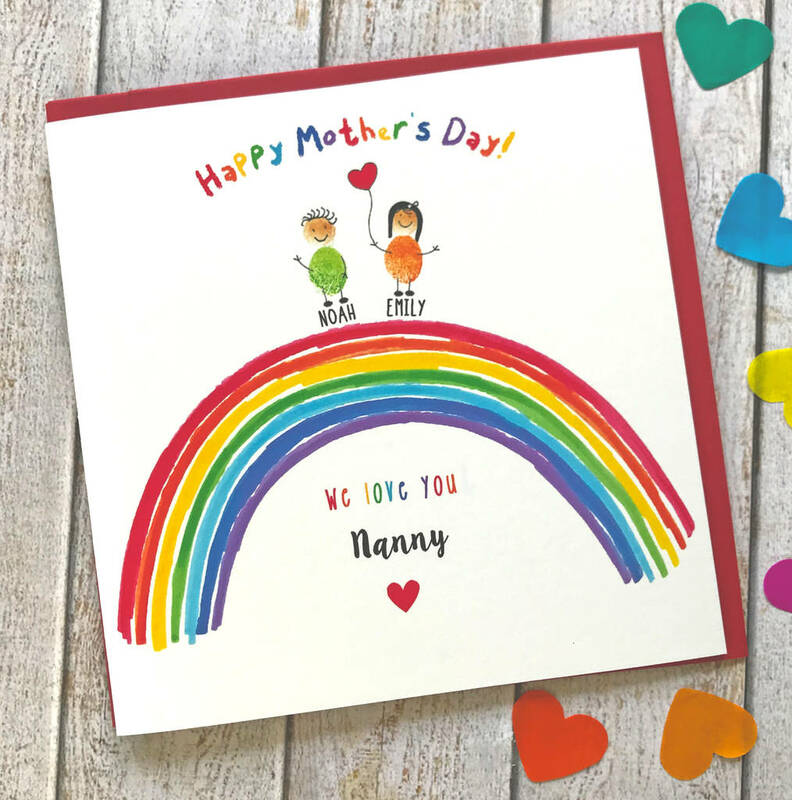 We have put together some examples on our image section for you to browse through or you may opt for your own wording and illustration choices. 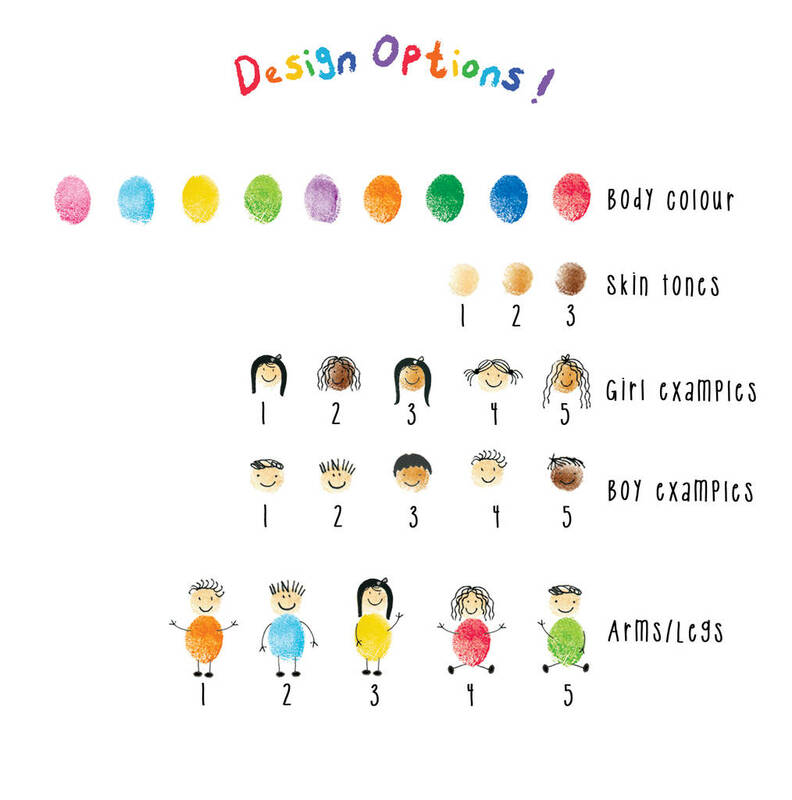 The style of the design and colours to choose from are displayed on our images to make it easier when placing an order. Please note that due to differences in computer monitors, colours may differ slightly when printed. Designed and printed in the UK on heavyweight matt card 280gm, using non fading pigment inks. Includes kraft brown ribbed envelope and will be dispatched in a hard backed envelope. This product is dispatched to you by The Little Paper Company.